Three amazing new fighters are heading to SNK Heroines! Mui Mui, Luong, and Mian! Meet Luong, the femme fatale and a seductive beauty, and Mian, the Sichuan opera dancer that rarely appears without her mask! Both heroines pack quite a punch with their array of acrobatics and martial arts moves. Watch out for Luong’s whip-like “Tou” Dream Finish and Mian’s “Rangurenbu” Dream Finish! With alluring fighting styles that are as beautiful as they are powerful, you’d better be ready to face them when they arrive! A master of kung-fu and a successor of the Dragon Clan, Mui Mui possesses superhuman strength. She can break boulders and smash through walls with her bare hands! Get on her bad side and you’ll get a taste of her punches! 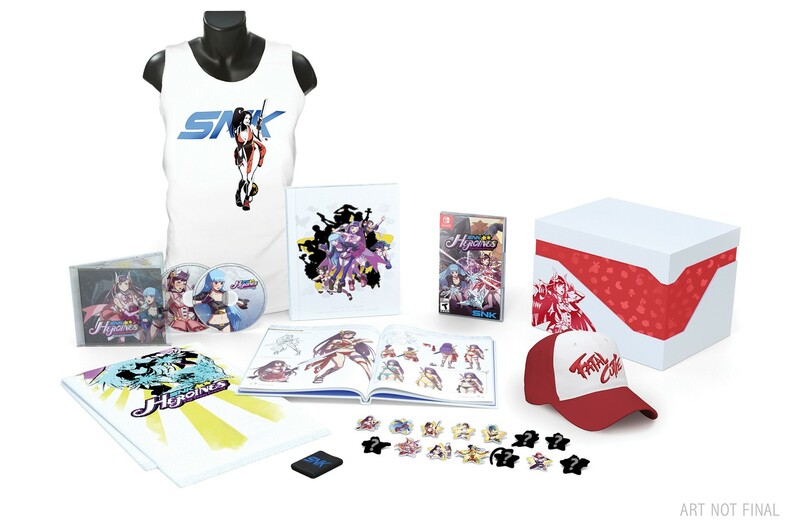 SNK HEROINES ~Tag Team Frenzy~ launches worldwide on September 7! You can check out Mui Mui’s trailer below! NIS America has said there is only one more fighter to announce! The last fighter is not someone you’d expect! Who do you think it is? Also, for all you super fans out there, don’t forget to order the Frenzy Diamond Dream Edition! Next story The Caligula Effect: Overdose coming to PS4, Switch and Steam! Previous story Nintendo has 4 New Limited 2DS XL’s and the Switch has None.